A nice young man from Alabama asked me to hand engrave a special Christmas gift for his sister who is a knife collector. 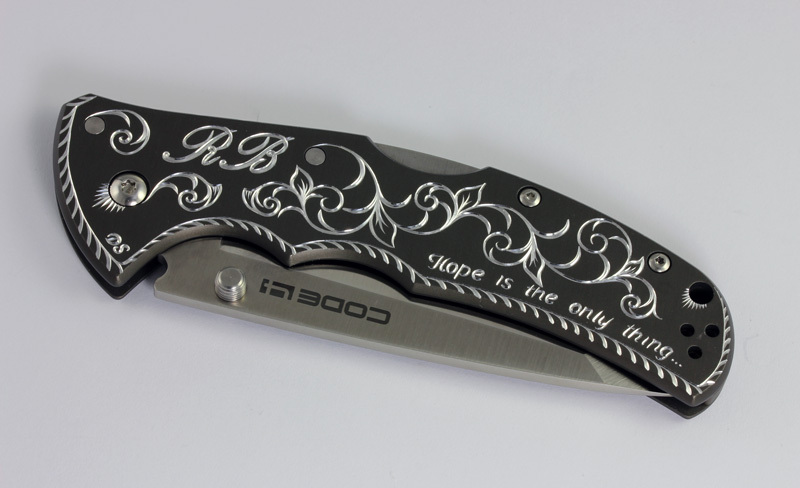 I hand engraved his sister’s initials, a flowing scroll design and a quote that he requested for his sister. 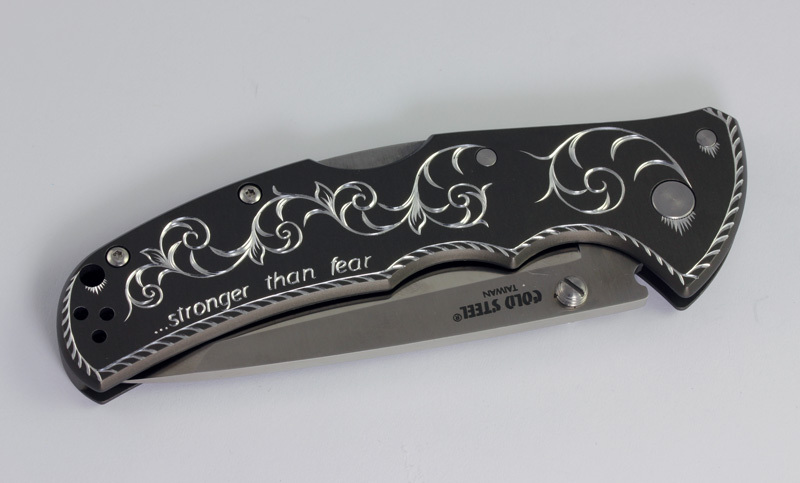 The Knife is a Cold Steel Code 4 anodized aluminum handle folder. He reported back to me that the gift to his sister was a big hit!